Unraveling the many mysteries surrounding the murder of Julius Caesar. The assassination of Julius Caesar is one of the most notorious murders in history. Two thousand years after it occurred, many compelling questions remain about his death: Was Brutus the hero and Caesar the villain? Did Caesar bring death on himself by planning to make himself king of Rome? Was Mark Antony aware of the plot, and let it go forward? Who wrote Antony's script after Caesar's death? Using historical evidence to sort out these and other puzzling issues, historian and award-winning author Stephen Dando-Collins takes you to the world of ancient Rome and recaptures the drama of Caesar's demise and the chaotic aftermath as the vicious struggle for power between Antony and Octavian unfolded. For the first time, Dando-Collins shows how the religious festivals and customs of the day impacted on the way the assassination plot unfolded. He shows, too, how the murder was almost avoided at the last moment. 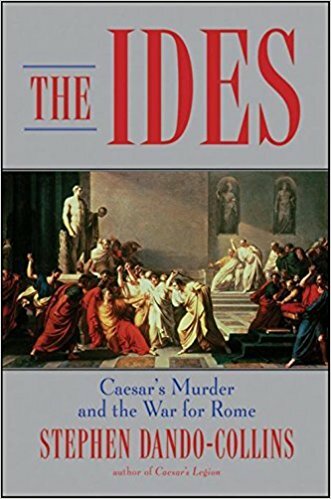 A compelling history that is packed with intrigue and written with the pacing of a first-rate mystery, Dando-Collins' The Ides will challenge what you think you know about Julius Caesar and the Roman Empire. AVAILABLE IN ENGLISH AND SPANISH EDITIONS AND AUDIOBOOK.